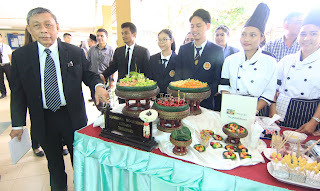 Faculty and Students from the Songkhla Vocational College showcasing their products in POLIMAS Faculty and students from the Songkhla Vocational College in Songkhla, Thailand were invited to showcase their institution’s products and services and to personally observe the APACC accreditation exercise. This is in anticipation of their own onsite visit exercise which is tentatively scheduled in November 2017. Dr. Alto inaugurating the "Honey Spa" at the polytechnic’s entrepreneurship square where students are able to offer services, sell products and practice their entrepreneurship skills POLIMAS is the 3rd polytechnic institute established by the Ministry of Education under technical and vocational education program. 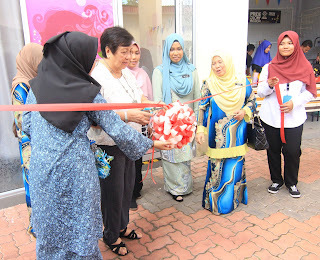 It first started its operations on March 14, 1987 and was formally inaugurated by the DYMM Tuanku Sultan Abdul Halim Mu'adzam Shah, then the Sultan of Kedah. 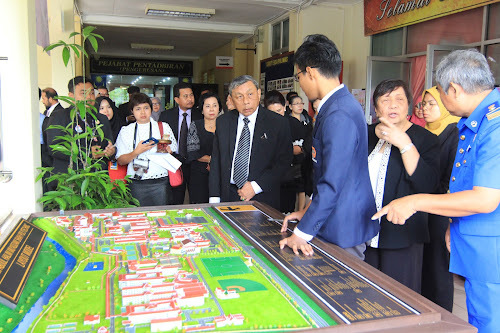 Since then, the name of this polytechnic was changed from Politeknik Alor Setar to Polytechnic Sultan Abdul Halim Mu'adzam Shah, in honor of the Sultan. The accreditors during the onsite visit interviews (left photo). Dr. Paiboon asking the students of POLIMAS (right photo).